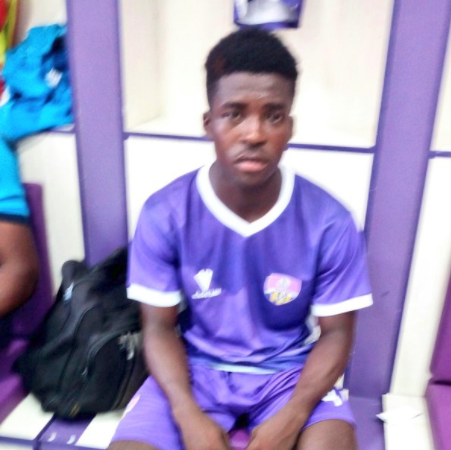 MFM FC made club history winning their first continental game in the 1-0 victory against Real Bamako at the Agege Stadium on Wednesday, and the club also raised the bar when they fielded a 16-year-old in the preliminary round match. Abayomi Lawal made his CAF Champions League debut, coming off the bench in the second-half. At 16 years, Lawal may very well be the youngest Nigerian outfield player to feature in a club continental game. The youngster replaced Abiodun Ayinde on 55 minutes and was crucial in the build up to the goal that sealed victory for the Olukoya Boys. Fidelis Ilechukwu will lead his team against Algerian side MC Alger in the first round qualifying fixtures scheduled to get under way next month.